Last summer, Masha submitted an essay into our national contest that is held for student writers throughout the United States and Canada. Her essay, “The Beautiful Sunrise Over Atlantic Ocean”, was selected from thousands of entries as one of the ten best in her grade division. At the time, Masha was attending Richard Stockton Elementary School in New Jersey. Masha has lots of hobbies. These include tennis, ballet and rhythmic gymnastics, which is gymnastics with a ball, a rope, and a ribbon in the choreography. She started tennis and ballet at four years old and has gotten very good at them in the past six years. Also, Masha loves to read, draw and write. Furthermore, she likes to play the piano at home and in the school band and orchestra. She loves to sing in the fifth grade chorus and lots of other songs, but mostly songs by Taylor Swift. Her favorite movie is The Sound of Music because her favorite actress, Julie Andrews, is the main character in that movie. Masha really likes to learn foreign languages and is especially excited about learning Russian, French and Spanish. Masha has won many awards in school. In 1st grade, she won a prestigious Presidential Physical Fitness award, which was in 2010. She was in first place for the physical education competition and earned a gold medal and a certificate from the President of the United States, Barack Obama. In third grade, she won a Mathematics award. In all the years of elementary school, she has always been in the gifted and talented class. “I have many goals for the future. One of them is my future career. When I grow up, I want to be a Bio-Chemistry Professor (a type of scientist.) I want to be it because science is my favorite subject in school. I really love doing experiments. Secondly, it is my dad’s and my mom’s occupation: my dad is a Chemistry Professor, who teaches Physical Chemistry at Rutgers University Camden, and my mom is a biologist. They both have a PhD degree in their specialty. I will work hard, and if I win a Science Noble Prize or another prize I will not just keep it all to myself, I will share. One of my goals is to support and/or fund an animal shelter. I will also donate money to charity and hospitals. 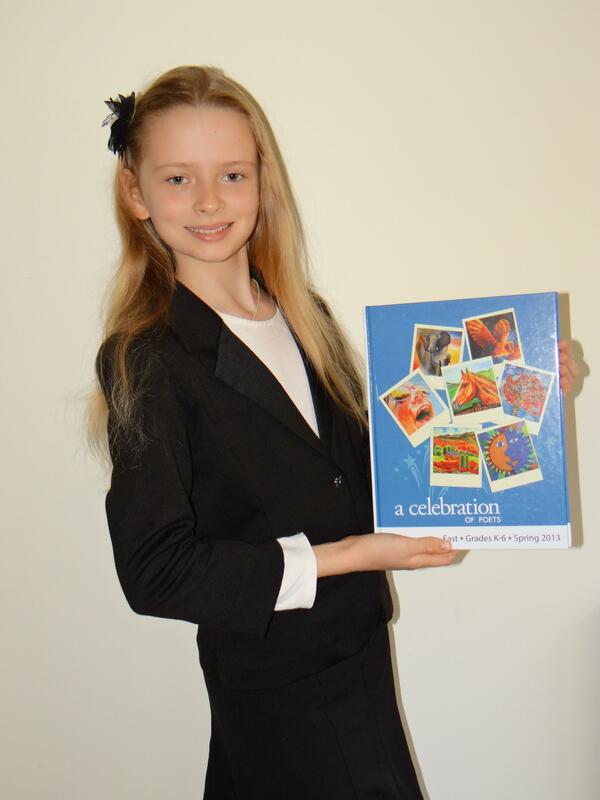 Janika Nevlida was 8 years old attending Carrillo Elementary School in California when her poem “The Outside World” was selected as a Top Ten Winner in our Summer 2013 national poetry contest. Janika was born in China and grew up in Northern California. Last year, her family moved to San Marcos, California. 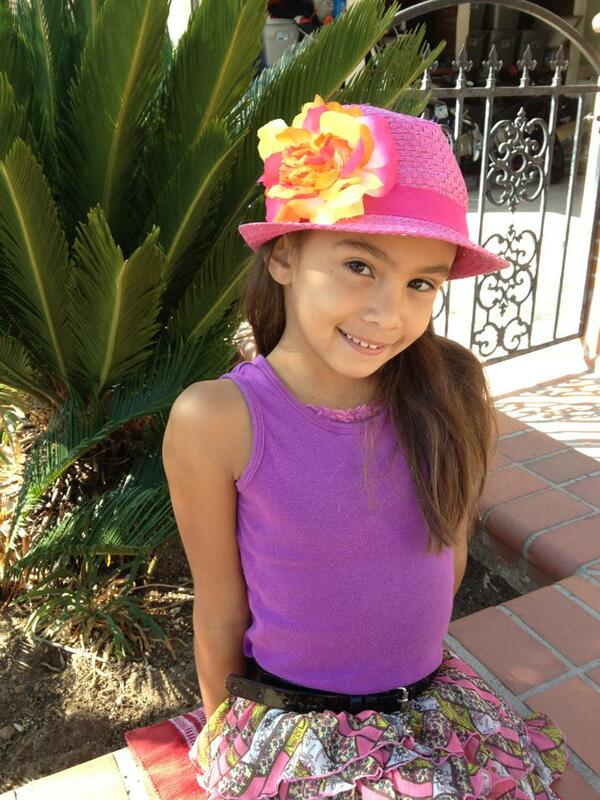 Janika is in a home school program attending gifted 4th grade and 5th grade classes. She is also a gymnast and has been on a competitive team since age 5. To read Janika’s poem, click here.